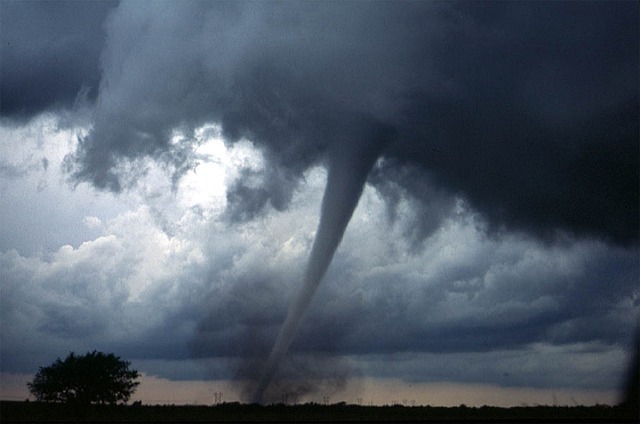 Home > Blog > Safety Tips > Are You Prepared for a Tornado? Tornadoes can cause devastating damage in a matter of minutes. Keeping yourself and your family safe is priority number one in the event severe weather occurs. These are a few things that you should have in place so that you’re ready in the event of a tornado. Emergency Plans: Make a plan and discuss it regularly with your family. Have a designated family friend whom you can alert if you have to evacuate. Everyone should also know where to take shelter in the house and where emergency supplies are located. Also, you should know where your home’s insurance information is along with phone numbers to local disaster restoration companies. Shelter: While many areas that frequently have tornadoes have built-in shelters, many homes do not have a designated shelter. If a tornado occurs, move to an interior room in your home on the lowest level. Use a room with no windows, such as a closet or a hallway. Supplies: Your designated room should have a supply of food, water, and a battery operated lanterns. Avoid open flames to prevent a fire and have other power sources on hand, such as batteries, in the event electricity is out. By having supplies ahead of time, you can avoid panic after a catastrophic event. Preparing ahead of time for a tornado can help you focus on staying safe in the event that one occurs. If your home suffers damage from a tornado or other severe weather, call DKI. Unlike most disaster restoration companies, DKI can arrive any time to help you start cleaning up.